On Thursday 14th June, Woodpecker Class spent the day on the river at Hurley. They did canoeing in the morning and then moved on to individual kayaks in the afternoon. This week they have been busy writing some fantastic balanced arguments about the pros and cons of school trips. As ALL of the adults were in the water this time, they had to grab a quick snap during lunchtime! 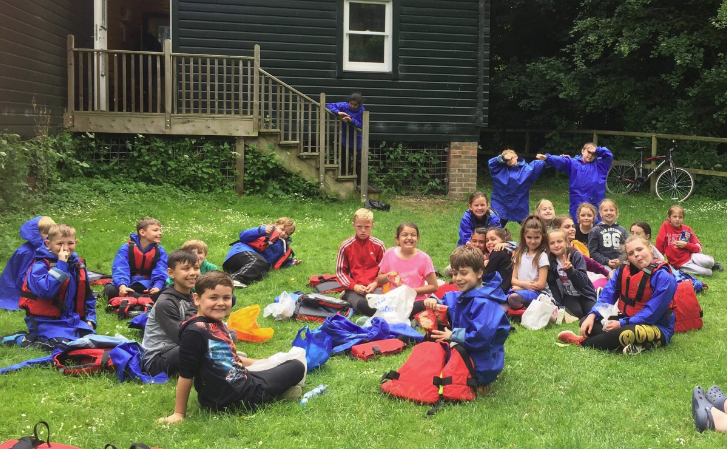 Here they all are enjoying a rest before getting into their kayaks!